If you're wondering how to annotate PDF files, you aren't alone. 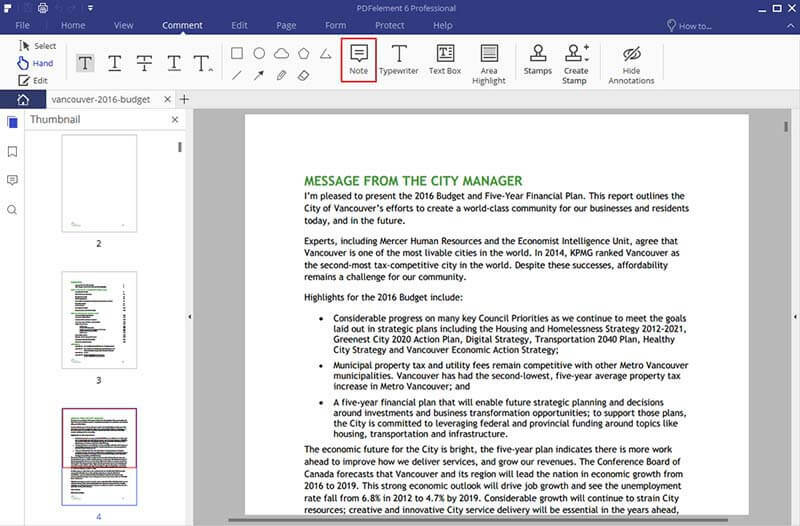 The ability to annotate a PDF document needs to be done through the use of an advanced PDF editor. However, some PDF editing programs can be costly. Thankfully, you can annotate PDFs quickly and easily with PDFelement, without having to spend a lot of money. PDFelement is one of the best PDF annotator tools on the market. At a much lower price than Adobe® Acrobat® and Foxit, PDFelement provides you with the same features and quality. You can edit your PDF by adding sticky notes, highlighting areas, adding underlines or strickthroughs, or inserting stamps, links, images etc with PDFelement. PDFelement is also a great PDF converter and creator. You can convert PDF documents to any other format you need, as well as create and combine any format files into PDF files. With powerful features and a simple and user-friendly interface, PDFelement supports multiple systems and allows you to annotate PDF on your Windows, Mac and iOS platform. Click "Comment" > "Note", and then click on the location where you want to add comments. A yellow box labeled "Sticky Note" with time and editor will appear on the side of your document. Click "Comment" > "Highlight", then select the text you want to highlight. It will switch to a yellow background by default. Right click and select "Properties" to change the color and opacity. Click "Comment" > "Text Box", then select the area where you want to insert text into your document. You can simply right click to select "Properties" and change the default color of the text and box. 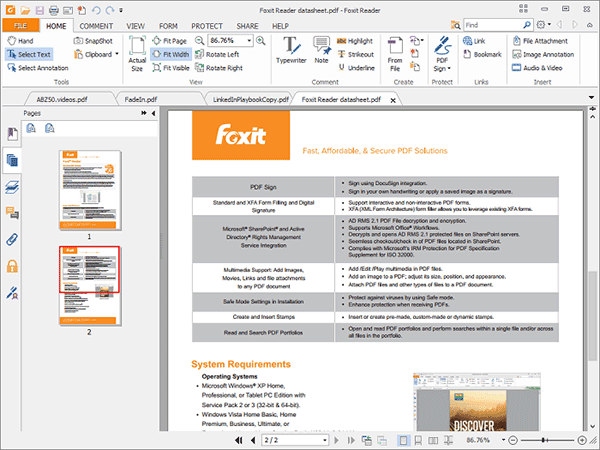 Foxit Reader is one of the oldest PDF tools for viewing and editing PDF files. It allows you to add annotations to PDF documents through tools like typewriter, highlighter, underline, hyperlinks, note, strikethrough, and digital signatures. Foxit also allows you to modify PDF documents by adding freehand drawings, shapes, and notes to help enhance the content within the document. Apart from annotation, Foxit is used for a wide variety of functions, including editing text and printing PDF documents. PDF-XChange Viewer is a free PDF annotation application that is widely popular because of its size. Even though it's a compact program, manages to squeeze in some useful annotation features. 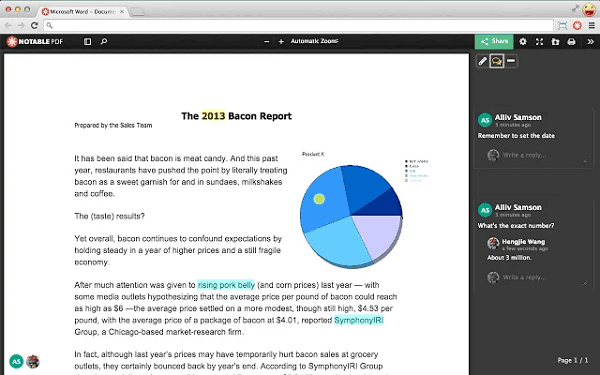 At the basic level, users can work with sticky notes, a freehand pencil, and a typewriter tool to annotate documents. 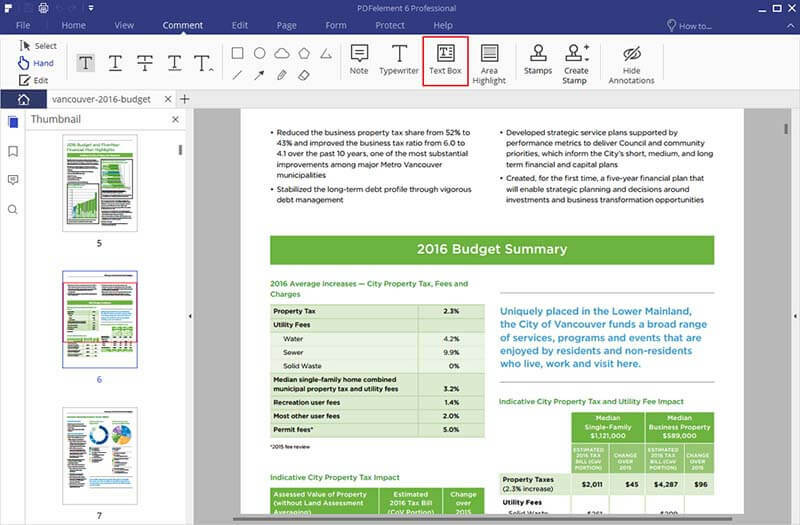 Advanced features of PDF-XChange Viewer include linking and measuring tools, call-outs, shapes, and arrows tools. It also enables users to edit and add comments to annotations created by other annotators. 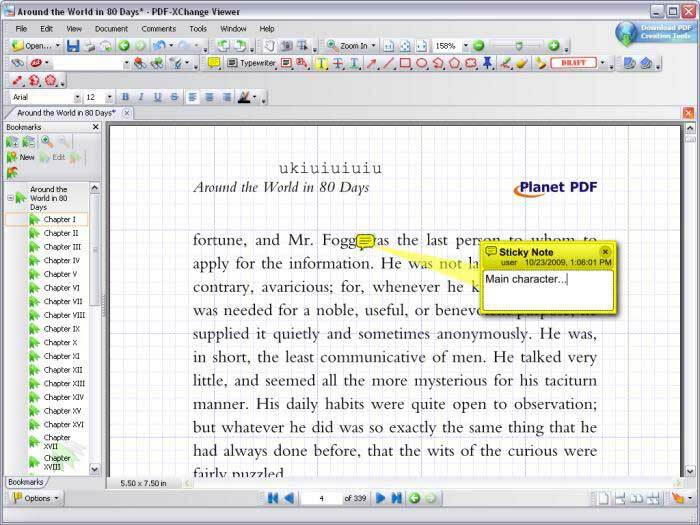 Nitro Reader is another free PDF editing tool that features a standard annotation tool. You can select and highlight text, apply strikeouts, and underline text that you want to stand out. Nitro Reader also features a handful of other functions that go hand-in-hand with the annotation tool, including bookmarking and the ability to view and edit annotations from other annotators working on the same document. 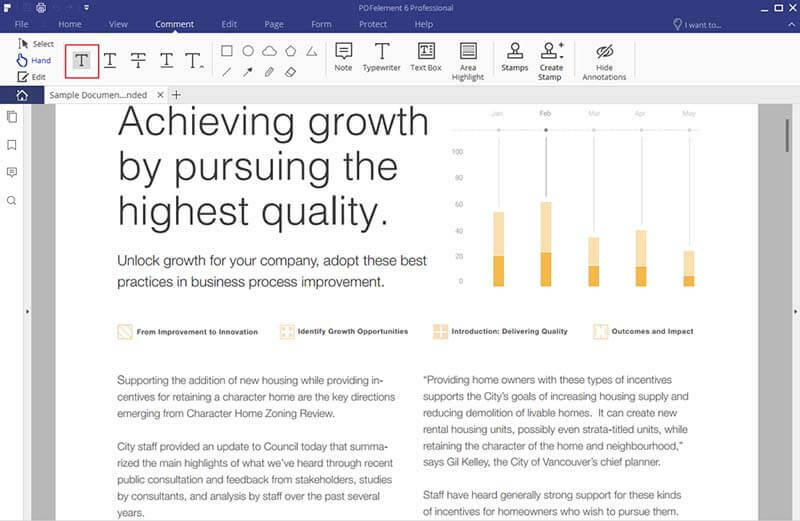 Notable PDF is a free PDF editor that comes as an extension on Google Chrome. 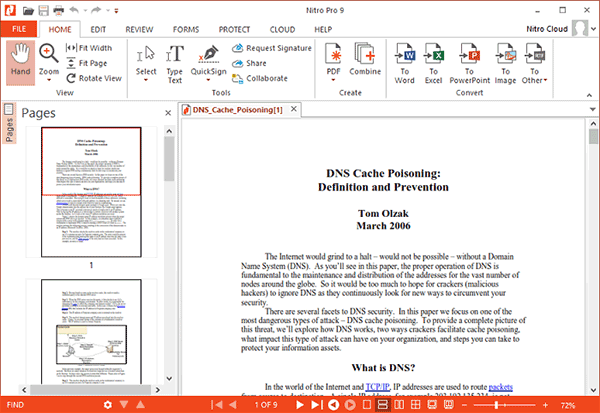 If you want to annotate PDF online, Notable PDF enables users to add and edit annotations on PDF documents from Google Chrome, which allows users to continue browsing while inserting and editing annotations on PDF documents. It features most of the basic annotation functions, including highlighting and commenting.